(NaturalNews) An experimental cancer treatment has been given "breakthrough" status by the Food and Drug Administration (FDA), but is it really a "miracle drug," as portrayed by the mainstream media? The treatment, which uses a genetically-altered version of the polio virus to fight cancer cells, has been given fast track status for Phase 2 trials. If the Phase 2 trials are successful, Phase 3 testing may not be required, and a drug based on the treatment could be made available within a few years. Phase 1 trials of the treatment on an aggressive form of brain cancer called glioblastoma were successful enough to give many people hope that a revolutionary new cancer-fighting weapon might be on the horizon. Miracle drug or media hype? The 60 Minutes piece featured interviews with researchers and patients involved in the Phase 1 clinical trials. Among the patients were several whose tumors had shrunk or disappeared after the treatment, but some experts believe that news stories such as this one may raise false hopes among the public. "The Duke medical team elegantly describes the mechanism and their experience with the drug using cautious tones and measured excitement. The tone of correspondent Scott Pelley's narrative, however, is considerably less guarded. 'Some of the patients [in the study] use words that doctors don't use, like "miracle" and "cure."' Unfortunately, so does Pelley. One can visibly observe members of Duke team struggle to reframe dramatically phrased questions. It's an uphill fight." In an email to Med Page Today, clinical director of the Breast Oncology Program at the University of Michigan, Daniel Hayes, MD, called the original 60 Minutes piece "irresponsible journalism." "This is what's wrong with medical coverage by the press ... and cancer coverage specifically. Breathless hype over 'breakthroughs' before the scientific process has demonstrated that the new approach is or is not better than what we do. "I hope the Duke investigators have really made progress; Lord knows we need better treatment for brain cancers. But this sort of hysterical report, raising false hope, does not further our cause." 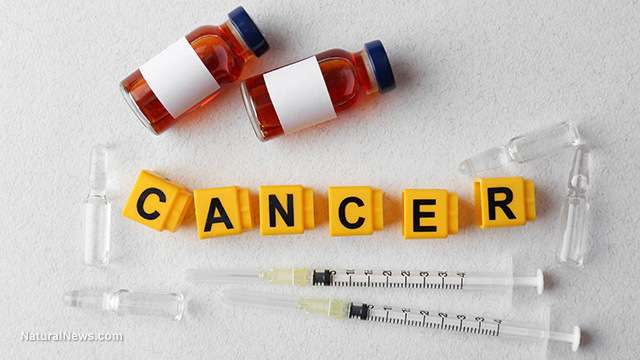 In its role as cheerleader for Big Pharma, the mainstream media routinely heralds each new drug treatment as "groundbreaking" or "revolutionary," but the fact is that cancer treatments are often ineffectual, prohibitively expensive and dangerous. The cancer industry generates billions of profits for drug manufacturers, but it doesn't really cure or prevent cancer. Natural methods which can prevent and treat cancer cheaply, safely and effectively are ignored or suppressed in favor of the Big Pharma lie that drugs and radiation offer a real cure. In the 60 Minutes coverage, little attention was given to those who died in the Phase 1 trials, some of whom were killed by the experimental drug itself, as the researchers attempted to determine a "safe" dosage. If the medical industry is truly interested in fighting cancer, perhaps it should shift its focus away from developing more dangerous and marginally effective drugs, and instead move towards investigating the environmental factors that create cancer, while developing ways to boost the body's natural defenses through diet, nutritional supplements and alternative treatments such as cannabis. Alternative methods of preventing and treating cancer have shown real results, but on the whole, the medical establishment continues to ignore holistic approaches – apparently because there is not much profit in cheap, natural cures. Meanwhile, the medical industry rushes to put yet another new cancer drug on the market, and the mainstream media is right there ready to hail it as a "miracle."